Tesla Invader 2/3 is the latest creation from Teslacigs Invader series. It has been upgraded entirely, no matter its performance or functions, they both have been improved largely. Of course, its appearance is also improved. 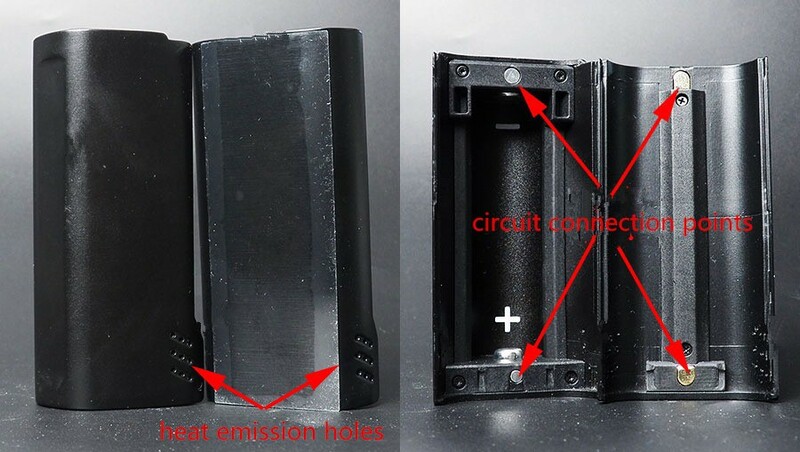 The most special part of Tesla Invader 2/3 box mod is its setting of the battery scheme, which can switch between dual-battery system and triple-battery system. The package succeeds Teslacigs’s style, adopting the hat box made of paper. 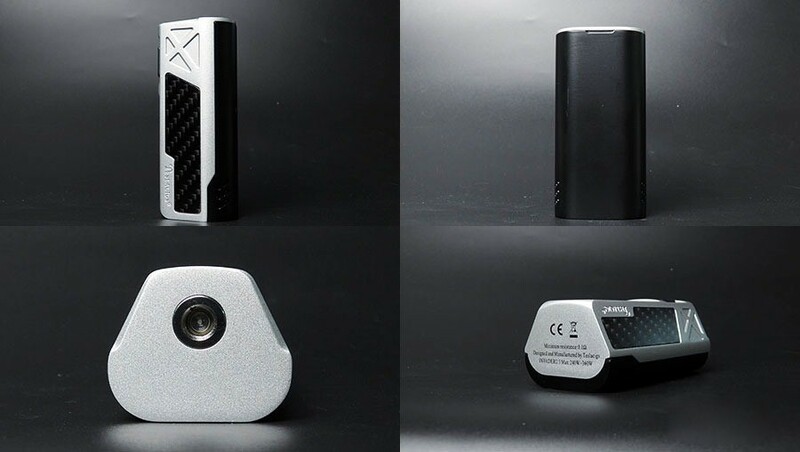 In the front side there is printed the brand LOGO, name of the box mod, features of the box mod and the lateral view of box mod. At the right side of the package box, there is the instruction picture showing how to change the battery. At the left side, there is printed the words “powerful & simplistic INVADER 2/3”. At the back side, there is the product instruction information. The most information surely is the anti-fake label. 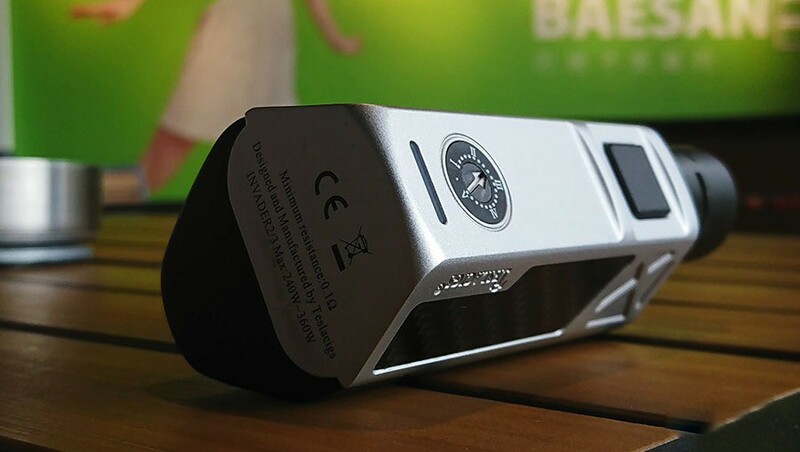 Under the triple-battery mode, the appearance is similar to most box mods that adopt triangle layout to batteries, which is accorded with the ergonomic design on appearance and has very nice hand feel. On its design of appearance, Tesla Invader 2/3 succeeds the style of Invader 3. It’s angular but is also featured with round curve. 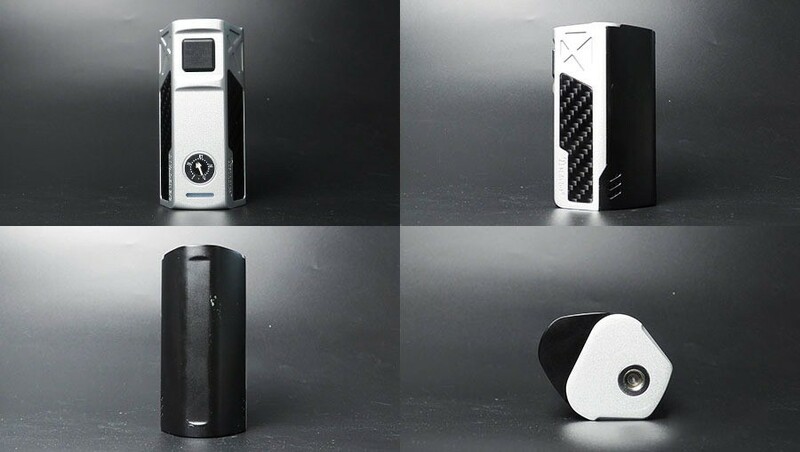 At both sides of the box mod, there is a “X”mark respectively, and at the lower part of the box mod, there is a piece of skin made of carbon fiber and the name Teslacigs. The fire button is settled at the upper part of the front side. Such design is very convenient for users to find the position of the fire button and gain a more comfortable usage experience. Below it is the adjust plate of the potentiometer and LED light. Under the dual-battery scheme, the size of the box mod is compressed largely, but the comfortable hand feel is by no means lowered (even improved slightly). 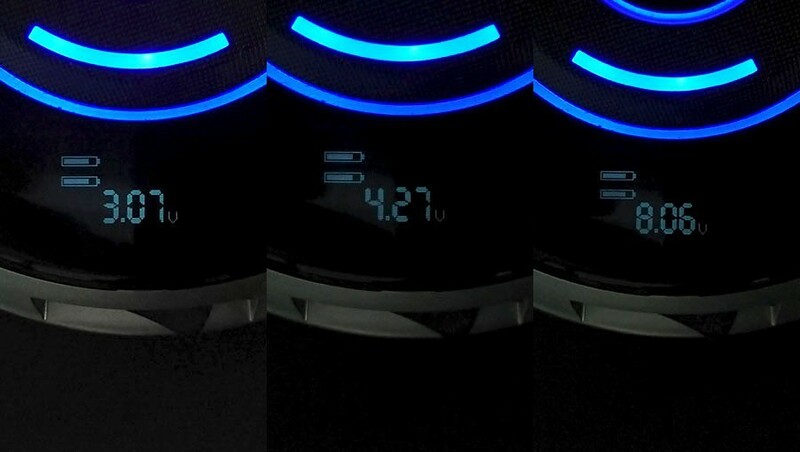 Let’s make a comparison between Invader 2/3 under dual –battery scheme and its predecessor Invader 3 (the size of Invader 3 is relatively smaller among dual-battery box mods). Apart from that it’s much thicker than Invader 3, its height and length are both smaller than Invader 3. 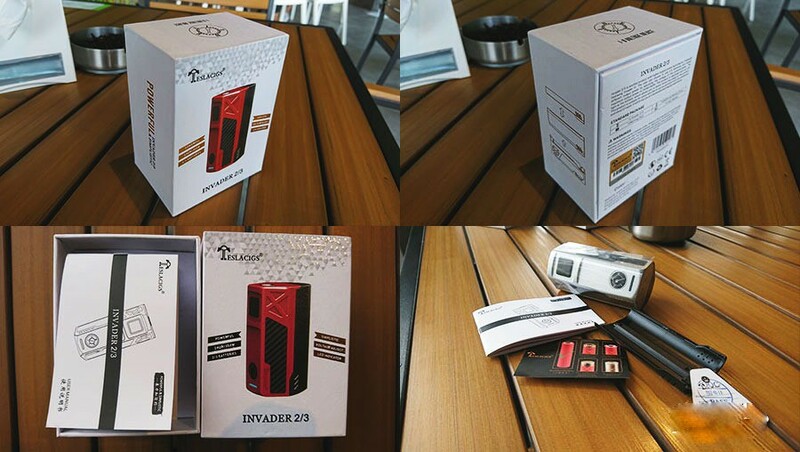 Regarding the color, Invader 2/3 has more choices for color and the color matching of each box mod is proper. In the manual, there is the information of the unit resistance 0.1Ω and the corresponding output wattages at different gears, but there is no detailed information of output voltages. Here I will show you the data that I have tested with instrument. The workmanship of the battery covers in the package is pretty good, and at the two sides of the bottom, there are nine heat emission holes respectively. Inside of the battery cover, there are circuit connection points (the battery cover under triple-battery scheme is connected by the batteries ). When the battery cover is not closed completely, the box mod will not be energized. 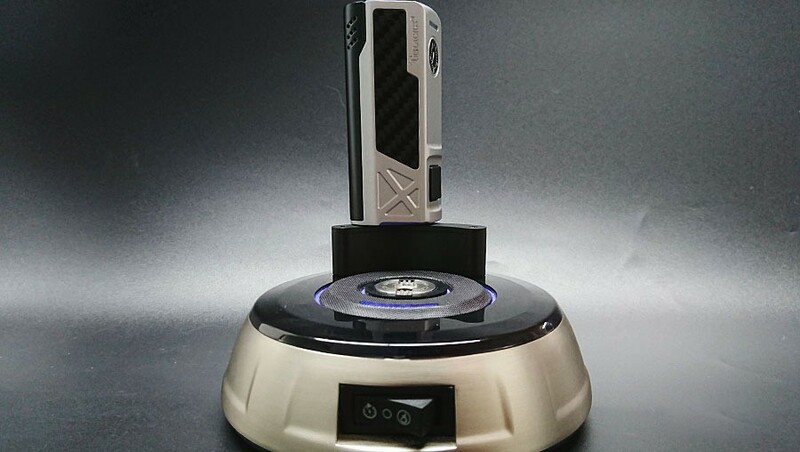 Under triple-battery scheme, the connection points of the battery cover and the connection points of the battery both adopt the treatment of silver plating, adding the current conveyance rate and the antioxidant ability. The lock for locking the battery cover and box mod is very carefully designed. The battery cover and the box mod is connected by a groove structure. 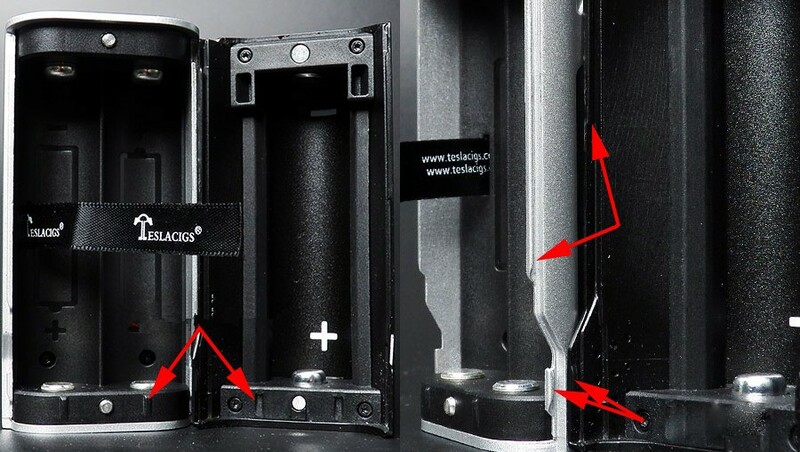 At the bottom of the box mod is the positioning structure of the battery cover which can well fix the battery cover. The integrating degree of the groove is pretty high without loosening or shaking. The workmanship inside of the compartment is also impeccable. 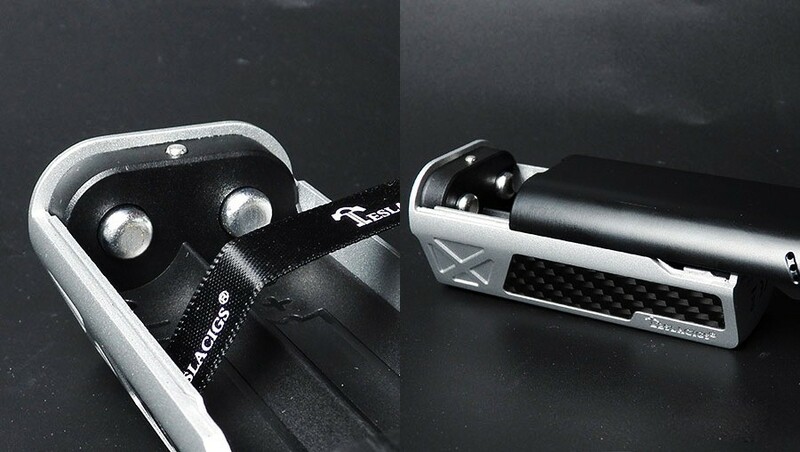 The elastic force of the silver-plated connection points and the circuit connection points are both strong with comfortable operation experience. The 510 connection point is upgraded with a bigger contacting area which can improve the current conveyance rate, but the firmness of the paint is not so satisfying. 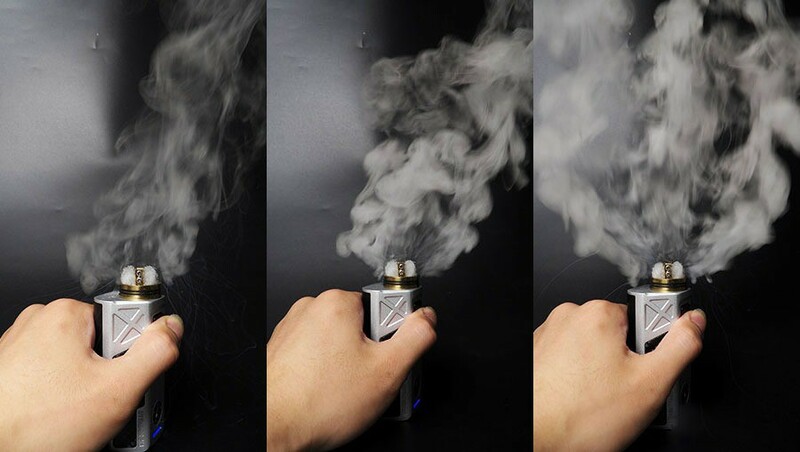 I use the Geometry RDA tank to test the output, the data as below: Kanthal A1 coil, wire diameter 0.6, circle diameter 3, 6 circles, 4 coils and the resistance is 0.12Ω. Pictures above are the output test situations under dual-battery scheme at 1/3/5 gear. Pictures above are the output test situations under triple-battery scheme at 1/3/5 gear. 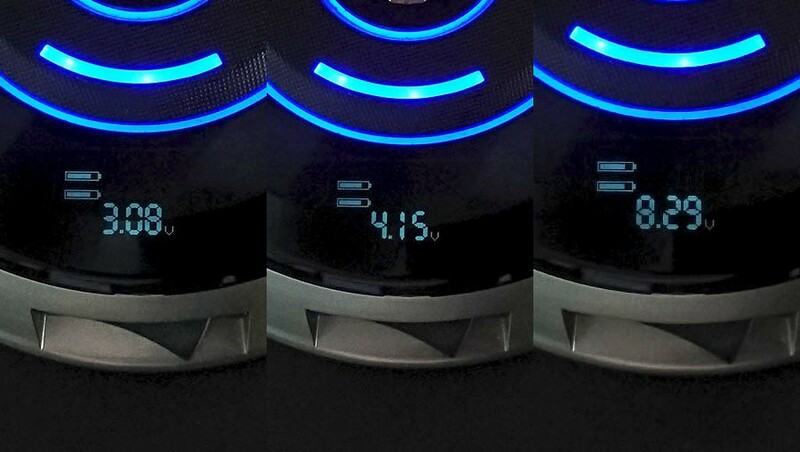 From the pictures above, we can see the difference between dual-battery scheme and triple-battery scheme. Under triple battery scheme, the output is obviously more fierce than that under dual-battery scheme. 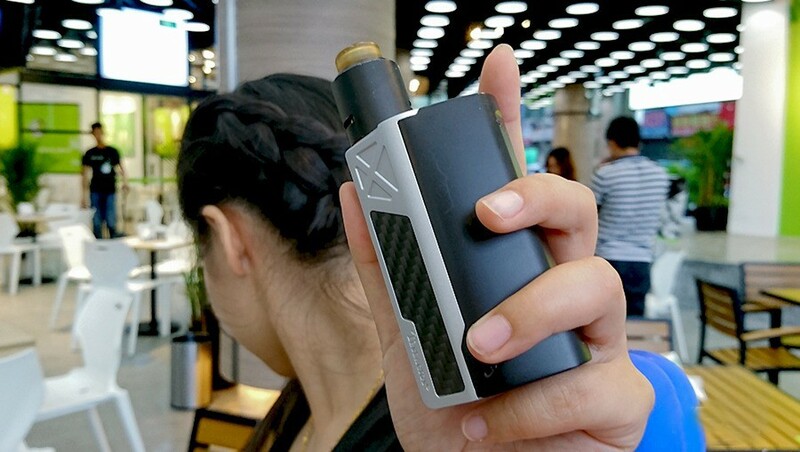 By comparison, we can know that this box mod has a relatively big limit to the current (after all, the wattage calculated by a 8.29V voltage and 0.12Ω resistance can reach a horrible value of 572wattage ). The adjustable voltage of this box mod is very user-friendly to the new players. 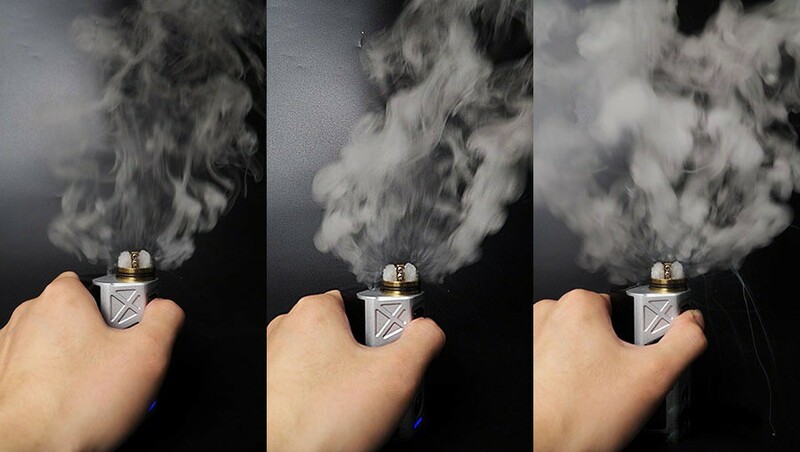 With it, new players can control the time to adjust the coil when burning the coil. If the paint can be much firmer with strong abrasion resistance ability. The switch of the dual-battery and triple-battery is extremely easy. Users don’t have to disassemble the redundant battery on the battery cover, but just to change the battery cover. Here I would like to revise a conception. We are used to call the VV box mod “semi-mech”box mod. However, this is not always accurate. 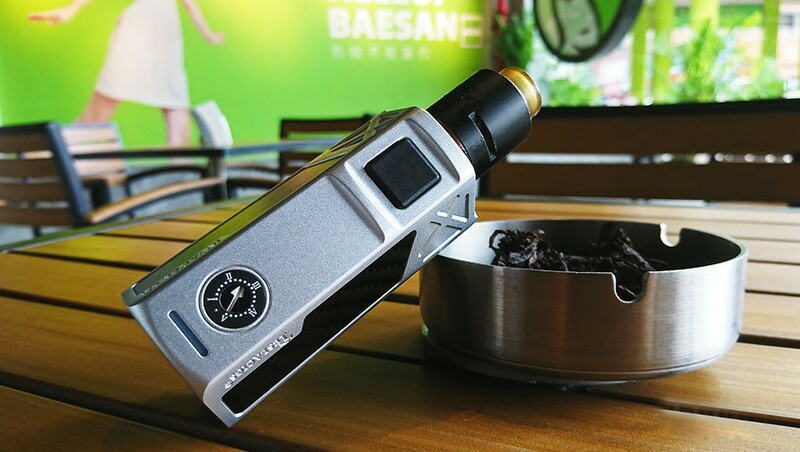 After all, at the very beginning, the semi-mech box mod was just added protective chipset on the mech structure, but was not really featured with the function to adjust the output voltage. Later, the box mod installed with potentiometer appeared and its voltage was adjustable. But people are still accustomed to call it semi-mech mod. Actually, the voltage of it can be adjusted, so it’s not right to call it semi-mech box mod. The right way to call it is VV box mod. To sum up, the output and workmanship of this box mod has made great improvements compared with its predecessor Invader. The only point needs to be improved is the paint. 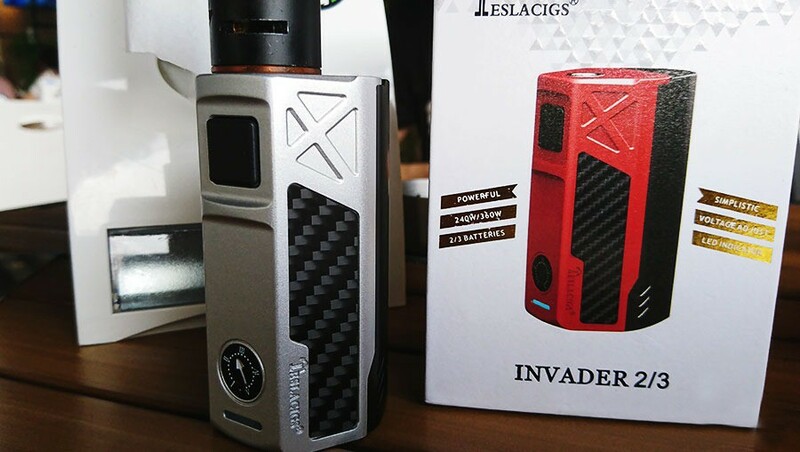 On the other side, for those vapers who likes to DIY the appearance of the box mod, Tesla Invader 2/3 is a very good choice for them. The can easily erase the paint and then process the shell with customized treatment, making it more unique. Personally, I like the box mods adopting potentiometer. They have the features such as fierce explosion, fast ignition, easy for adjustment. Thought it doesn’t has the TC function, it makes the best on the output voltage. 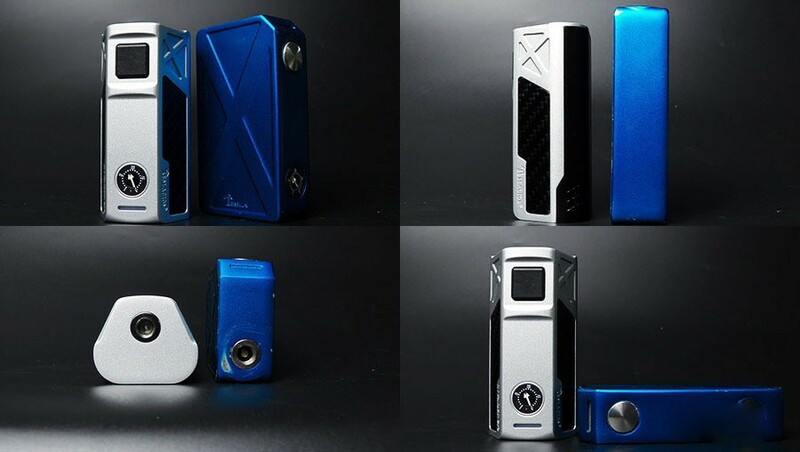 Tesla Invader 2/3 box mod will satisfy your vaping need well. You can totally enjoy 38% off if you make the purchase now!